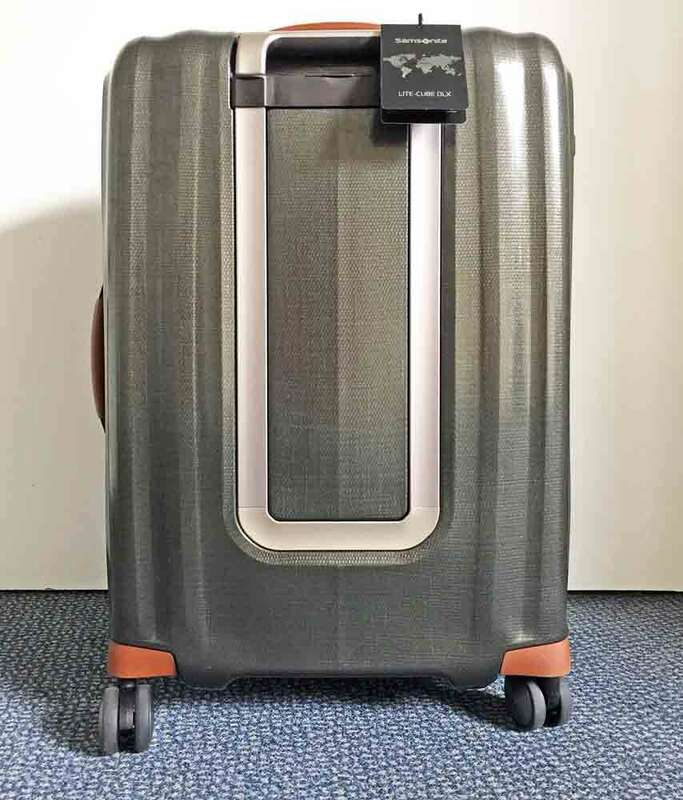 Here, we make cases for two excellent options when, despite the rigours of flight, you still wish to travel with stylish luggage. 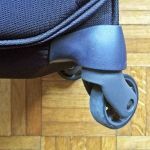 From the moment you relinquish hold on your suitcases as you leave home they go through more abuse than virtually any other travel related item. 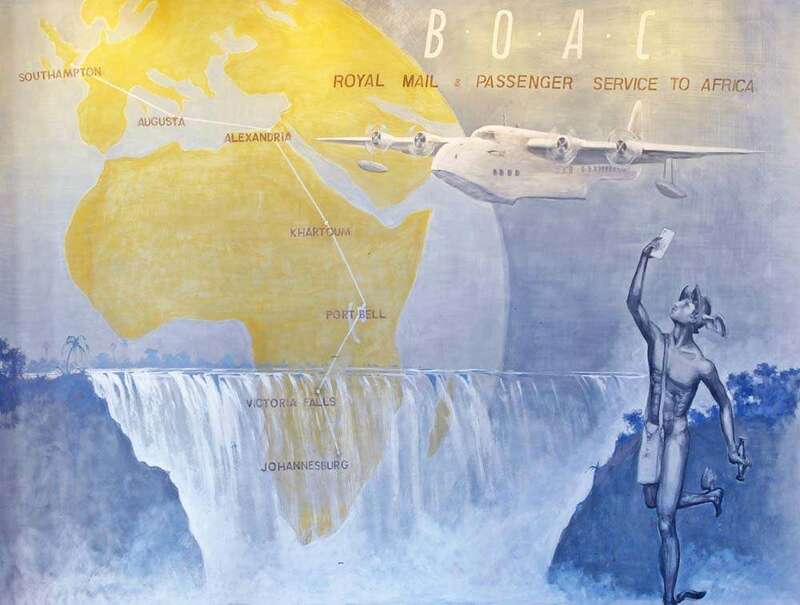 Gone are the days for most of us when the chauffeur would collect our matched leather travelling collection, carefully deposit it into the capacious Bentley and transfer it lovingly to the Flying Boat where our personal valet would unpack and hang each item in our state room wardrobe. 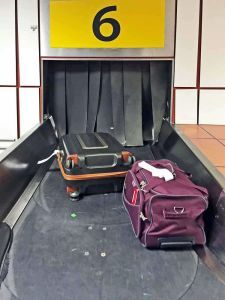 Nowadays, its slung into the back of a taxi or wedged into a private car with other cases, deposited on the concourse of an airport where its bashed into by oblivious travellers with trolley loads of plastic wrapped cardboard boxes; plastered liberally with permanent adhesive stickers by the airline check-in, before being conveyed in a tumbling cascade to baggage handlers who subsequently vie for honours in how far they can throw our possessions out of the plane onto the trolleys that trundle across some of the more remote airports we arrive at. We’ve been so disenchanted by the treatment our luggage has received over the thousands of journeys we’ve made that cardboard boxes almost seem the best option compared with the disappointment of seeing yet another forlorn suitcase arrive, with our name on it that bears little resemblance to the one we parted company with in England. Our mission, therefore, was to see if we could find a suitcase and a carry-on that fulfilled a list of criteria that we felt was important, if we were to continue with a preference for smart luggage. 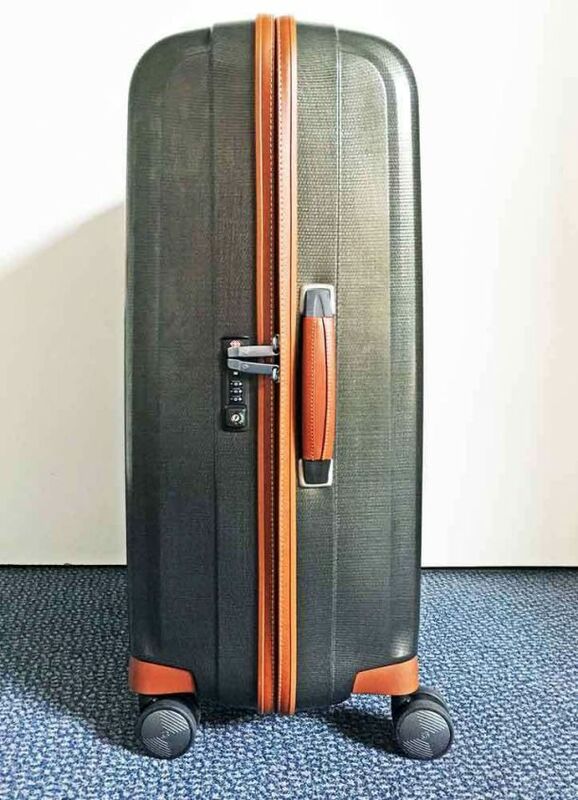 We spent some time talking to Hartmann luggage specialists who eventually recommended a couple of cases that fitted our demanding wish-lists. A review of each follows but the most outstanding factor that applied to both, before we even opened the cardboard carriage boxes they arrived in, was the amazing lightweight nature of each. In fact, once we’d extracted the cases they weighed less than the cardboard boxes they’d arrived in – so that cancelled out our earlier idea of just using cardboard boxes to travel with from now on! Here’s our wishlist, choices and opinions of both cases. Straight out of the box, our Lite-Cube was impressive with its Olive Green base colour trimmed with brown leather and stitching, giving a traditional quality appearance on a modern theme. Detailing on the trimming is good with the structural material of *Curv®- a revolutionary advanced impact-resistant, lightweight material – looking a little like carbon fibre but being incredibly light and flexible – we’d not seen anything like it before. You’ll see from the photo of our finger depressing the material near the handle that our first impression was that it would give up the ghost when the first belligerent baggage handler had a bad day. We were very wrong! Handles are robust and in the right places, whilst the four castoring wheels although protruding from the base of the case, nevertheless don’t take up valuable space within it by recessing them into the case body. This has long been a gripe of ours on other cases. Inside, the Lite-Cube comes into its own. 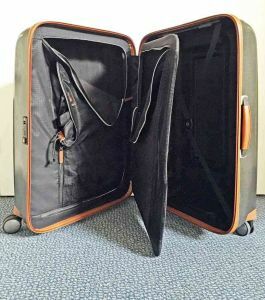 The case splits equally into two halves – which immediately means that there’s either a ‘his & hers’ side or that you can access either half of your own luggage without disrupting everything. In addition, there’s a central divider that provides storage for a suit, jacket and trousers or dress and on one side there’s a zippable compartment with a shoe bag and laundry bag included (nice touches; although we always need more shoe bags) and this same compartment flap itself zips closed one half of the case. 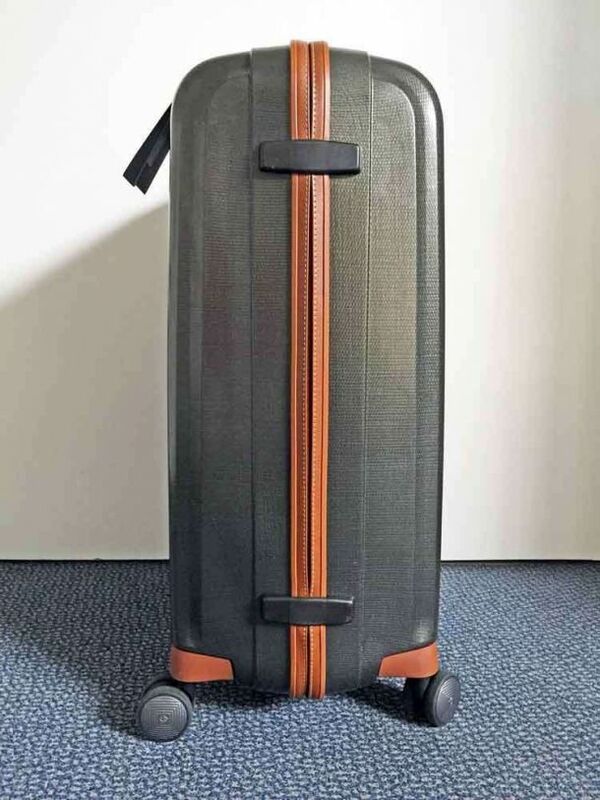 The other half of the case retains clothing by means of straps that clip in the centre. Strangely this was one of our only reservations in that the ‘male’ clip on one side has to fit into a loop of material rather than a similar ‘female’ clip and looks as though someone has tried to save a few pennies in production, which on a case of this value seems churlish. 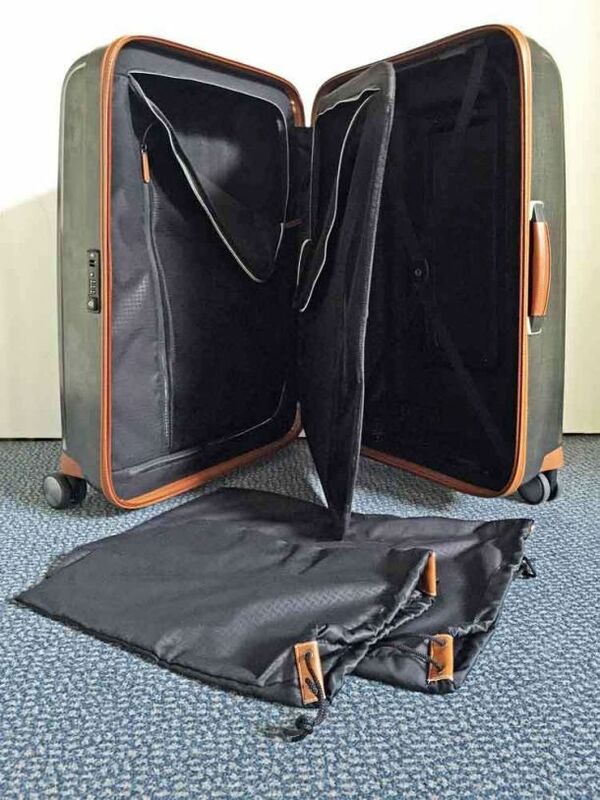 Clothes split naturally between the two sides, with shirts/skirts/blouses/trousers on the strapped side and underwear/adapters/toiletries/accessories etc on the zippable side. In use, the Lite-Cube ticked all of the boxes on our wishlist. 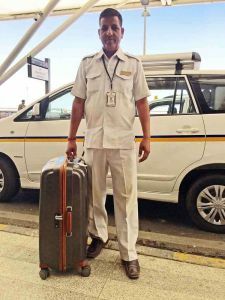 It looked smart; rolled easily over varying surfaces; was light to handle; easy to identify on the carousel at Arrivals; wiped clean of annoying airline stickers easily and was handled by porters and drivers without them groaning excessively for a tip! 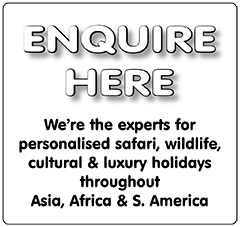 We’ve taken the case to the Baltic, India, Thailand and Dubai on both road trips and destination breaks and been exceptionally pleased with it in all locations. Interestingly, it has thrown up a reservation with hotels that has always been a nuisance but was illuminated further by the Lite-Cube. 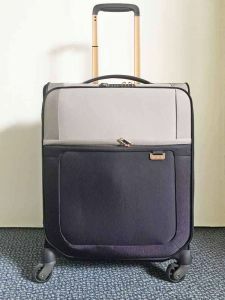 Most hotels assume that you’re going to book in for some time and completely unpack your cases into the often limited wardrobe space – whereas the reality is that most people, if touring, will be staying in a hotel for one, two, or at most three nights; when unpacking all your possessions simply to repack and move on is a real chore – and therefore most of us seem to live out of our case. 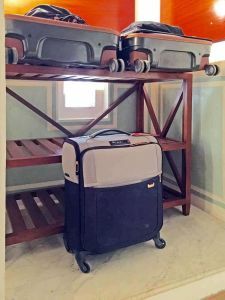 Hotels rarely offer sufficient space to open your case in a useable area, usually restricting you to a single trestle or stand. We believe that more hotels should accommodate wardrobes and adequate case space into a separate lobby area that doesn’t impact on your living or floor space in the room. Lite-Cube highlights this problem if you want to, or are obliged, to live out of it and leave it open for easy access to both sides – as it immediately takes up twice as much space as a ‘top-opener’ where you’re left to dig to the bottom for that elusive shirt you want for the evening. Our preference is to live with Lite-Cube’s extra space demands as the convenience of easy access far outweighs its size. Cases are not the sort of thing you ‘enjoy’ using, they’re normally more notable by their inconvenient features but Lite-Cube is a joy to use and we’d highly recommend it to anyone. The price tag isn’t cheap but you do get what you pay for – and what you pay for is quality, style and usability but more importantly durability, as our case has already stood up to some punishment. After only a few trips our Lite-Cube is showing signs of scuffs and scrapes but generally has held up extremely well. 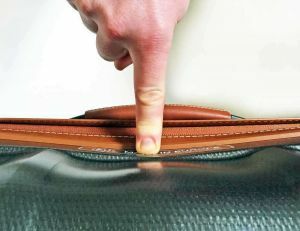 The tan leather trim has a habit of folding itself over the main zip in transit, which is an inconvenience but not insurmountable – although Cherrie couldn’t return it to normal for fear of breaking her nails! Nearly first out – even the handlers must like the look of it! 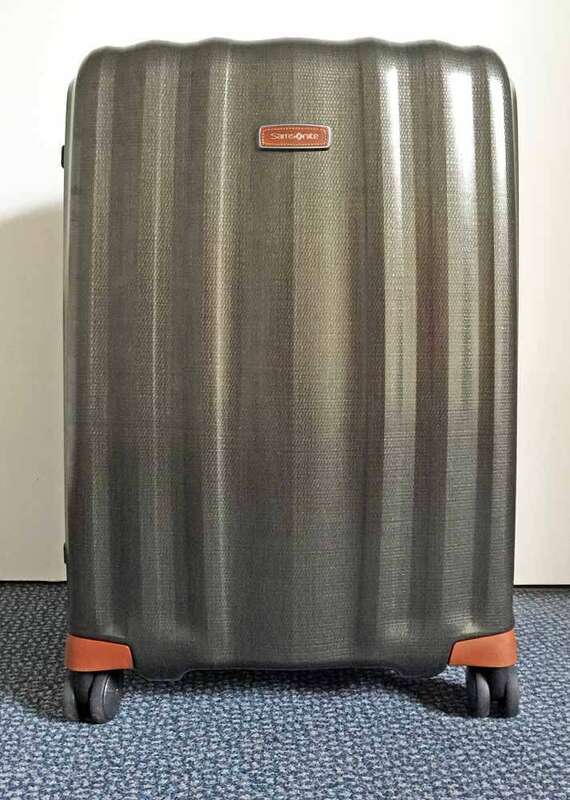 Its biggest challenge yet has been a fall from our own luggage trolley on arrival at Heathrow where it sustained a significant dent the size of a grapefruit on one corner. Berating ourselves for self-inflicted damage we nevertheless simply pushed the dent out and the case looks as good as it did before we abused it. 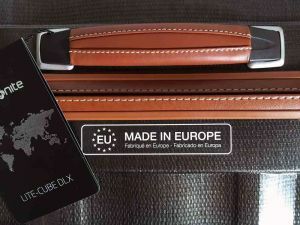 There must be thousands of cases on the market for all needs and budgets but if you value a recommend then the Lite-Cube is an excellent choice – as long as you don’t buy the Olive and tan leather one, which will make identification more difficult for us when we cross paths on the carousels around the world! 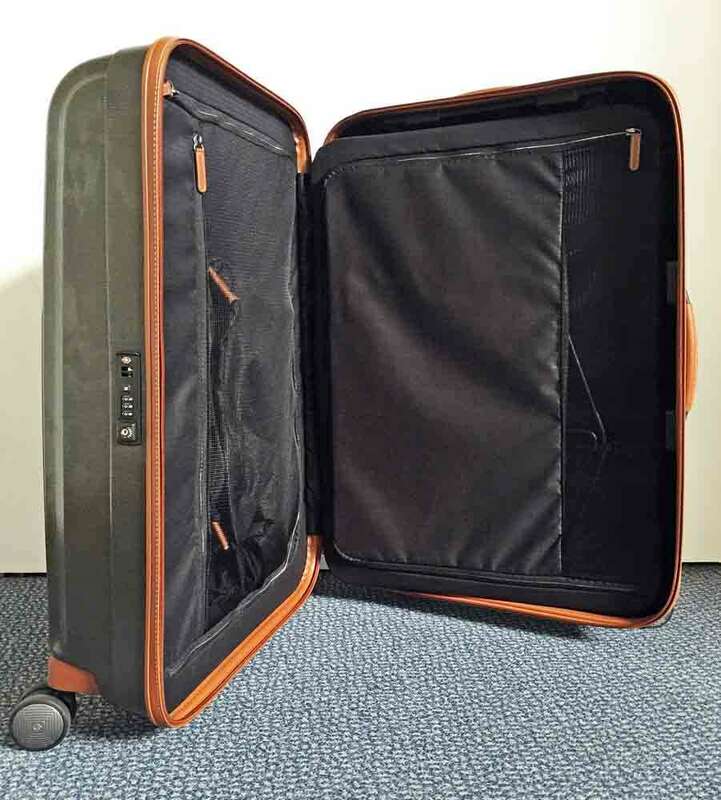 This smart, handy little case fits all of our needs, especially the front loading pocket that enables quick access to passports and other travel documents – as there’s nothing worse than having to lay the case down and open it fully to locate paperwork that is often required at Check-in/Departures/Security/Boarding etc. Ours is in two-tone pearl and blue (we weren’t worried about matching our cases as they spend little enough time together and it looks a bit twee in our opinion). 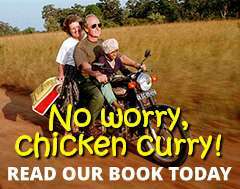 Again, the four wheels make life so much easier and relieve us of the added burden of weight that you endure with just two wheels. We were never keen on the appearance of four wheels but having used them on both cases now for a considerable time, wouldn’t return to two. Build quality and detailing is superb again on this case with trim finished nicely to enhance overall appearance. Whilst the combination lock might appeal to some the case is rarely out of our hands so this is academic. The only reservation we have is strangely also a positive in some senses. 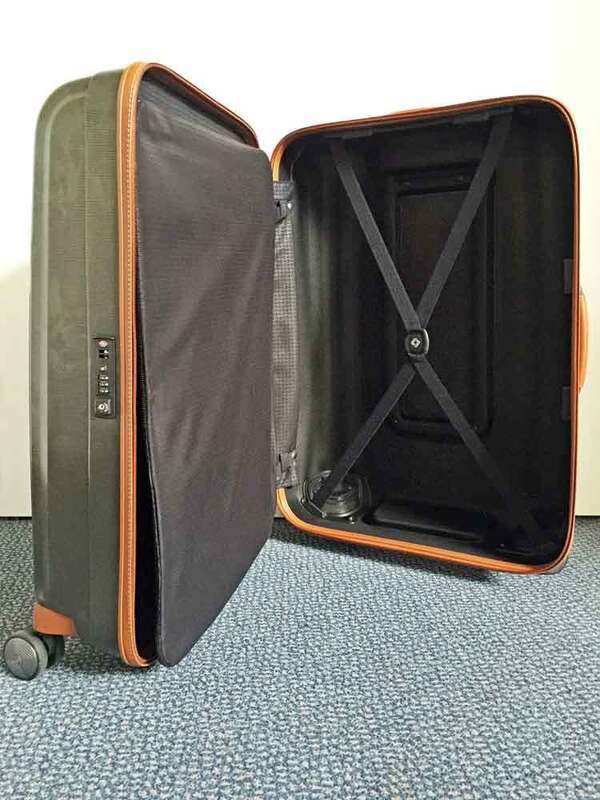 The wheels do not intrude into the storage capacity of the case and are mounted outside. 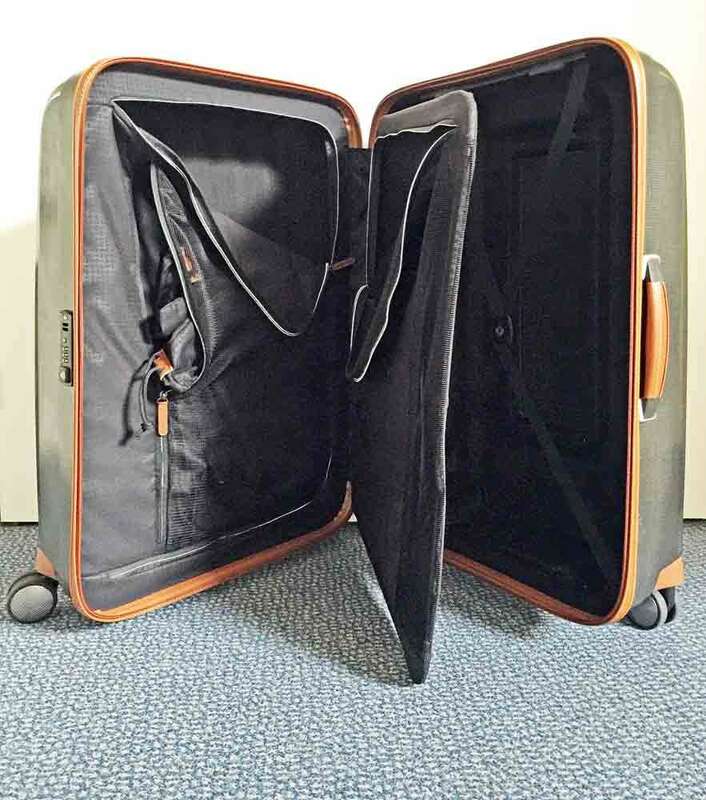 This is ideal for the contents as no wheel housings get in the way but it does reduce the overall size as the wheels have to be accommodated within the maximum permissible size for airlines – so its a trade off with no real winner. Again, with thousands of choices on the market, we’re more than happy to recommend this one. 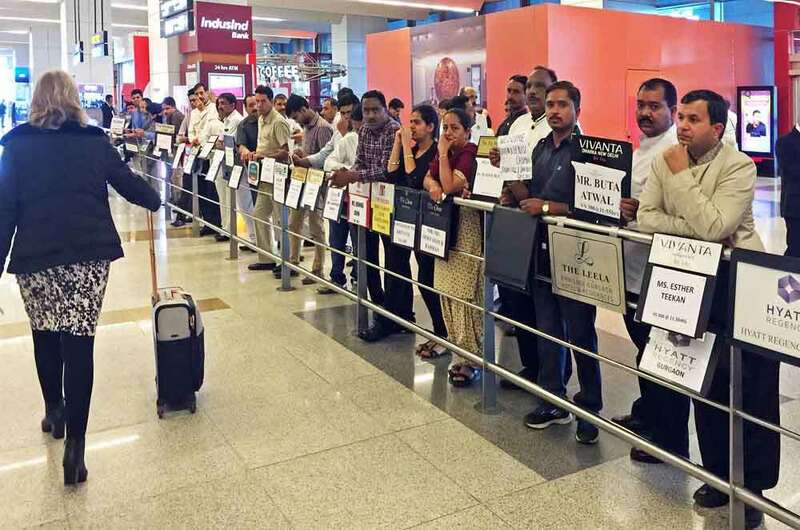 A queue of admirers line up to see our new Samsonite Uplite carry-on in Delhi! 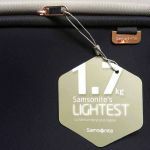 Perhaps the point here is that Samsonite is a long-trusted name for making robust cases that stand the test of time. They’ve been at it long enough and should know their onions by now. 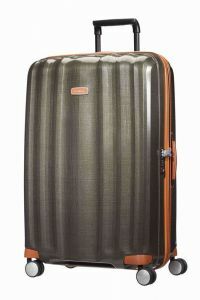 If the two cases we’ve been using recently are anything to go by then they certainly have – and if that’s not enough for you, then perhaps their ten-year guarantee might tip the scales when you next look for high quality luggage that’s a pleasure to use. It’s been a pleasure to use our cases and for them to perform well up to expectations. 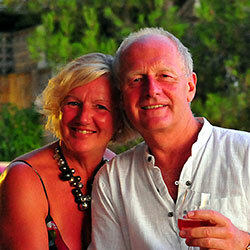 If you’d like more information on them and investigate current pricing then simply click on the links below.